Our goal is to make sure your personal possessions or business items are stored in a clean, safe and secure environment. With 9 Convenient Storage Locations in Oklahoma City, Moore, Edmond and Norman, our storage units make storage FAST and EASY! Storage Oklahoma facilities provide all types of units to solve your specific storage needs. Whether you need a small unit to reclaim your garage or clear your house of clutter to attract buyers or you need a large unit for your files, inventory and other business needs, our onsite storage professionals can assist you in choosing a space that’s perfect for your needs. All our Storage Oklahoma locations have computer controlled gate access, ground level units, lighted, wide aisles and video surveillance. 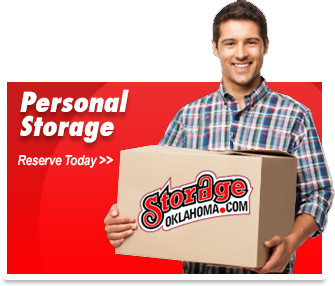 Storage Oklahoma helps make your MOVING and STORAGE experience HASSLE FREE! Each Storage Oklahoma Location has uniquely different features and benefits – and each of our storage locations in Moore, West Moore, East Moore, Norman, South Oklahoma City, Southwest Oklahoma City, Southeast Oklahoma City, Edmond, and Yukon are accessible 7 days a week. New Year’s Day, Easter Sunday, Memorial Day, Independence Day, Labor Day, Thanksgiving (and Black Friday), Christmas Eve and Christmas.